INTRODUCING JACK REACHER The bestselling novel featuring the "wonderfully epic hero" (People) who inspired the hit film Jack Reacher. Ex-military policeman Jack Reacher is a drifter. He’s just passing through Margrave, Georgia, and in less than an hour, he’s arrested for murder. Not much of a welcome. All Reacher knows is that he didn’t kill anybody. At least not here. Not lately. But he doesn’t stand a chance of convincing anyone. Not in Margrave, Georgia. Not a chance in hell. 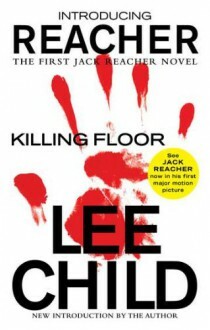 This is my first Lee Child novel and I'll definitely read his books again.